“Top o’ the morning to you” and Happy St. Patrick’s Day! In honor of St. Patrick’s Day, I thought I’d post 2 FREE St. Patrick’s Day patterns for you today. These patterns are both by Kara Gunza and can be found on her website. 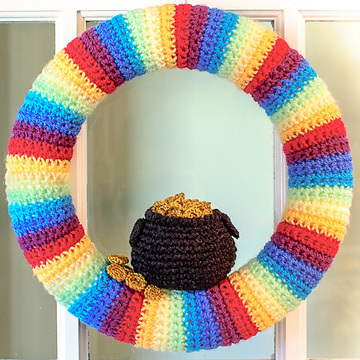 The first FREE crochet pattern is a St. Patrick’s Day Wreath with a Pot of Gold! You can find this FREE pattern here. Isn’t this adorable and cheery? 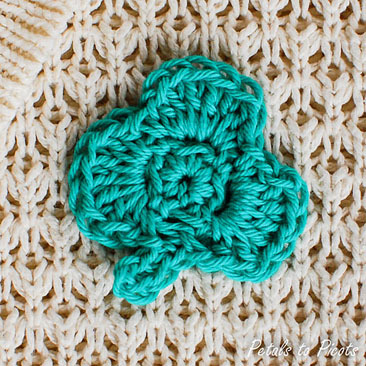 The 2nd FREE crochet pattern is a small clover. 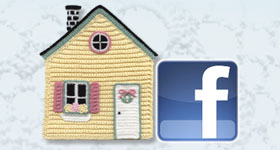 This can be made into a pin or added to the wreath. You can find this FREE pattern here. I hope you have a wonderful St. Patrick’s Day and avoid those pesky leprechauns!! !